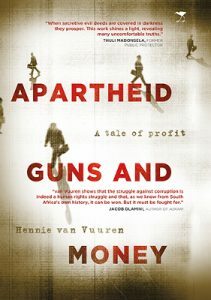 In his new book Apartheid Guns and Money: A tale of profit, Hennie van Vuuren shines a light on apartheid’s corruption secrets. Van Vuuren is a researcher and anti-corruption activist, and the Director of Open Secrets, a non-profit working on private sector accountability for economic crime and related human rights violations. In over 600 pages, this meticulously researched book finally lifts the lid on some of the darkest secrets of apartheid’s economic crimes, weaving together a treasure trove of newly declassified documents and eyewitness accounts. This is an exposé of the machinery created in defence of apartheid and in support of sanctions busting and the people who profited: heads of states, arms dealers, aristocrats, plutocrats, senators, bankers, spies, journalists and members of secret lobby groups. In creating the apartheid arms money machine they were complicit in a crime against humanity. Click on the link above for more about the book! As reported recently by the Daily Maverick, while researching Apartheid Guns and Money, Open Secrets collected approximately 40,000 archival documents from 25 archives in seven countries, many of which had been kept secret until now. The book is accompanied by a series of graphics, the treasure maps that help explain much of the content of the book. 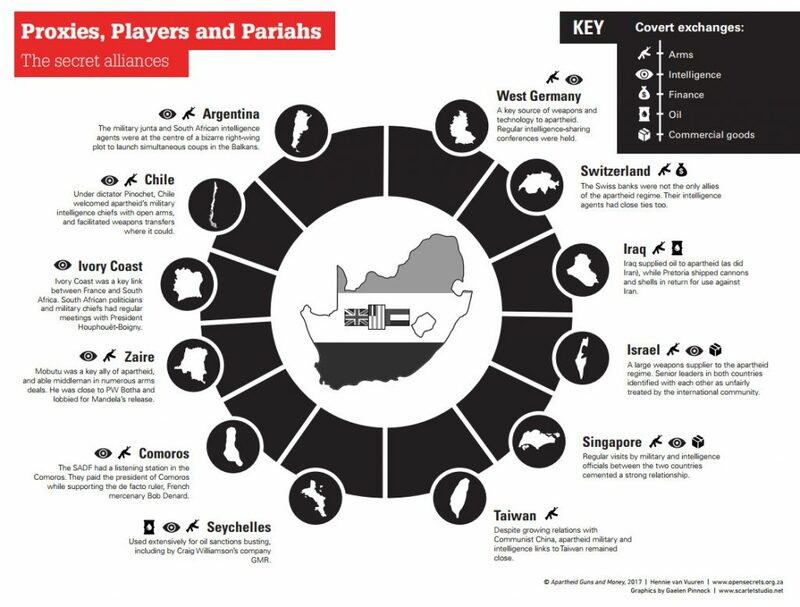 In the graphic above, the secret alliances of the apartheid government are illustrated. See the rest of the graphics at Open Secrets. This is a book everyone should buy and keep.